In order to have fun and interesting May holidays, there is no need to go abroad. In the vast expanses of Russia there are many wonderful places to go in late spring. So, in which direction to go, where we are going with children or friends this year? A large country has a variety of opportunities for recreation — it can be educational trips, beach holidays in the south, extreme rafting on mountain rivers, water sports on picturesque lakes and many others. In May, a comfortable beach holiday is possible mainly in the south only. The Black Sea coast of the Caucasus is once again gaining its former popularity, although prices “bite”. The best resort in the Krasnodar Territory is Sochi. Adler, Khosta and others are almost as popular as him. Here in early May, the air warms up above 20 degrees, you can already sunbathe, but the water is still cold. The resorts of Greater Sochi are distinguished by a developed infrastructure for active recreation, a mild climate and amazing nature. The beaches of the local coast are covered with pebbles. In May, the nature of Crimea blooms with rainbow colors, and the weather makes the summer warm. During this period, the prices for rest are quite low. In the middle of the month, the swimming season is already opening, and the flow of tourists is increasing. Many holidaymakers are attracted by the Sudak beaches, covered with healing quartz sand, a lot of tourists and in cozy coves along the coastline. The beaches of Sevastopol are famous for their infrastructure, but there are many wild areas on the Crimean coast. 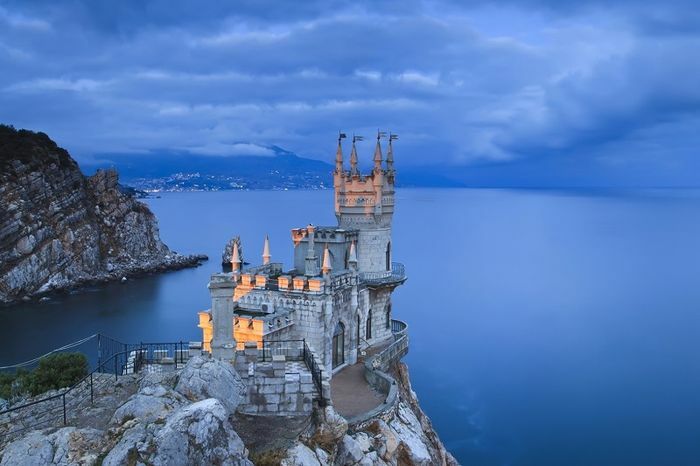 Holidays in the Crimea can diversify walks in picturesque surroundings — at this time the peninsula is extraordinarily beautiful, and exploring the ancient sights will allow you to learn more about its rich history. A trip to the North Caucasus in early May will leave a lasting impression. 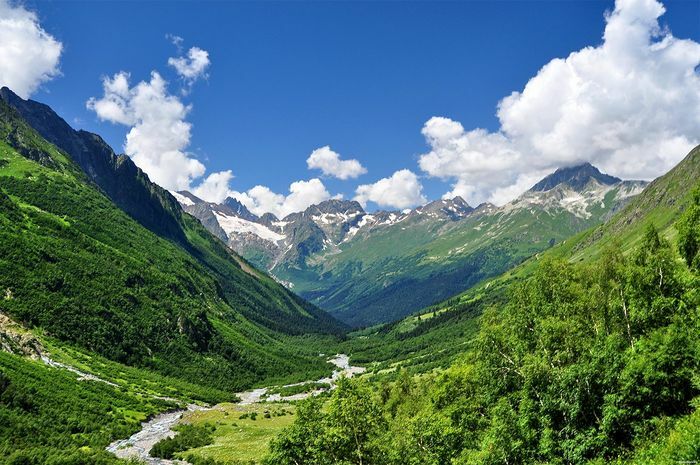 His republics are the stunning beauty of majestic mountains, among which rises the snowy summit of two-headed Elbrus, narrow gorges with turbulent rivers and green valleys, picturesque waterfalls and bottomless lakes. Anyone who has ever visited the mountains will love them for life. There are various types of outdoor activities — skiing in the Elbrus region, extreme rafting on mountain rivers, hiking, climbing to difficult peaks, horseback riding. The resorts of the Caucasian Mineral Waters are famous for their healing springs — there are several dozen of them. However, the main ones are radon and hydrogen sulfide. Therapeutic procedures are also carried out using the famous mud of Tambukan Lake. Sanatorium treatment is combined with walks through the picturesque forest parks with clean mountain air that has a beneficial effect on the body. Siberia is becoming an increasingly popular tourist destination — harsh natural beauty, unique historical monuments and the tranquility of this region attract here. To spend the May holidays on Baikal is to feel the power and greatness of the awakening nature. At this time, the lake is free of ice. Its huge boulders drift across the expanses, along the banks a wild rosemary tea begins to bloom, dyeing them in a delicate lilac color. Baikal is an amazing natural landmark. Its waters are characterized by amazing purity and an incredible variety of flora and fauna, and their transparency reaches 40 meters depth. When choosing a region, where to go to rest in May, you should pay attention to the small republic of Gorny Altai. It is located in the picturesque area of ​​the confluence of two large rivers forming the source of the Ob. In recent years, special attention has been paid to the development of infrastructure, and the amazing nature, historical monuments of different eras fanned by mystery, excellent conditions for mountain and water tourism make the region more attractive every year. Khakassia attracts with its ancient history and natural beauty. Mountain ranges whose slopes are covered with taiga forests are interspersed with fertile valleys and high-mountain meadows. Salty and fresh lakes are scattered in the steppes, on the shores of which balneological resorts are built. Many of them are of federal importance. The whole world knows the ancient monuments of Khakassia — mysterious sanctuaries, fortifications, there are only about 30 thousand of them. No wonder Karelia is called the beautiful land of forests and lakes. Its unique nature will not leave anyone indifferent. In the first half of the month it is still rather cool here, but the third decade is already pleased with warm, sunny and dry weather, comfortable for hiking along forest paths. Karelia is very popular among ecotourism fans who want to relax far from the bustling cities. Rivers after spring thawing become more affluent, attracting lovers of rafting. Many go to Karelia for holidays, celebrating Victory Day on May 9 with a cheerful company. One of the most beautiful cities in the country is St. Petersburg. Its streets and squares, buildings and bridges are a unique historical landmark. And the wonderful palaces and fountains that are being launched in May are the pinnacle of architectural and artistic excellence. In good weather, you can walk along the famous canals of the city on a river boat. Valdai Lake is an amazing natural phenomenon. Its shores attract vacationers with virgin beauty, clear waters and comfortable rest. May is the month when nature in Valdai wakes up, the forests surrounding the lake begin to bloom. Having gone here, you can visit the Iversky Monastery, located on one of its islands. This is the main Orthodox landmark and object of pilgrimage. Rest on the lake can be combined with a tour of many interesting places in the city. Vologda is an ancient city that is famous for its history and many attractions. In May, there is already quite comfortable weather for walks through the picturesque streets of the historic center, built up with old houses, unique monuments of architecture. In the vicinity of the city there are ancient white-stone monasteries founded in the 13-14 centuries, and northern landscapes with dense forests and pristine lakes have always inspired Russian artists to beautiful canvases. In May, quite warm, but not hot weather, comfortable for traveling, is established in Central Russia. These days you can take a fascinating journey through the Golden Ring by bus. Such educational tours have long become popular. 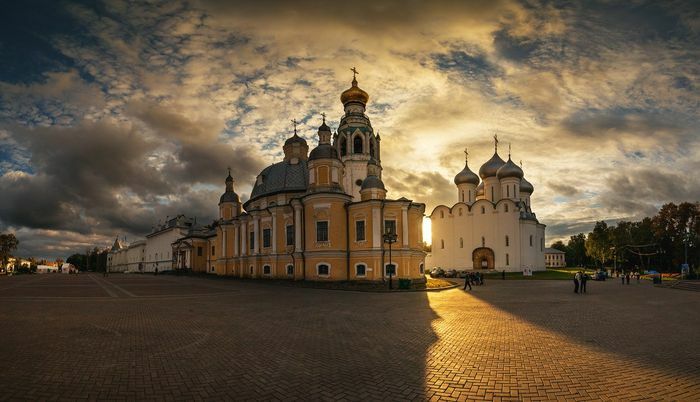 This symbolic name includes ancient Russian cities, which are distinguished by the most significant historical and architectural monuments — Uglich, Yaroslavl, Kostroma and others. Although there is no exact list, each locality included in the route has many unique attractions. Journey through the Golden Ring can be made on the boat. Cruises along the Volga in comfortable cabins will be an excellent type of vacation. The route and the Silver Ring, which includes the most famous places in the north-western part of the country. On holidays, you can perfectly relax in the boarding houses of the Moscow region. Four- and five-star hotels, built with new technologies and equipped with the most modern conveniences, offer a high level of service, effective SPA procedures and a variety of entertainment, which abroad cost much more. Pensions are located in the green zone. Walking through the spring forest will bring invaluable benefits to the body. Fascinating car travel in Russia will be an excellent form of recreation. A lot of wonderful impressions will leave a trip to the Urals. Perm land still holds many ancient secrets. Here you can see the famous Kungur Ice Cave, which is not less than ten thousand years old. The route passes through the old merchant cities with monasteries and temples, which conquer the amazing atmosphere of peace and quiet. Ethnographic museums will acquaint you with the unique local culture and way of life, and the Ural rivers are attractive for those who like active rest. It is not easy to choose from so many options where to go in May in Russia. Each of them is interesting in its own way and in any case will deliver a lot of fresh impressions.